Effective nutritional programs for stress management require a balanced design. During stressful times, we need more energy, better sleep, a level head, and a strong immune system. Choosing a thoughtful combination of adaptogenic herbs can make a world of difference in our ability to adapt and perform. 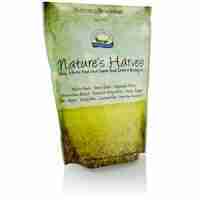 Solle Naturals’ plant-sourced stress blend was developed to support each of the above-mentioned needs. In Chinese and Ayurvedic herbal philosophy, the most highly-esteemed herbs are safe to use daily, over long periods of time, and yet are often the most difficult to describe in terms of their specific activity. Named “adaptogens” by Russian scientists, these herbs are valued for their unmatched benefits related to the various “stressors” in our lives which result in physical fatigue, hormonal imbalance, compromised immunity and altered mental outlook. Our ability to adapt to the demands of life is directly affected by our nutritional balance and reserves. Solle Naturals’ Adaptable™ is a blend of 6 top adaptogenic herbs that are uniquely balanced using our own combination of standardized and concentrated plant extracts. A balanced extract of St. John’s Wort is also included. Eleuthero Extensively studied by Russian scientists and proven to support endurance and response in those stressful moments. Schizandra Its name in Chinese means “five flavored berry” because it is sweet, salty, sour, bitter and pungent. It is packed with healthful compounds that make it a superior adaptogen with anti-inflammatory activity and potent anti-oxidants. Ashwaganda Used in Ayurveda for over 2,500 years, its inclusion here provides effective anti-stress support and immune and circulatory system enhancement. Jiaogulan Besides possessing anti-inflammatory and antibacterial qualities (nearly 4 times as many saponins as Panax Ginseng), this relatively newly-recognized adaptogen is often studied for its many beneficial effects on the circulatory system. Rhodiola Eye-opening studies have recently shown that this superior herb supports a balanced outlook in those affected by the highs and lows of stress. Astragalus A key immune-system enhancer, this adaptogen has been subject of numerous studies involving virtually all major body systems. St. John’s Wort Shown in many studies as one of the leading herbs for mood management, our extract is standardized to .3% hypericin with hyperforin thus insuring potency of both compounds within St. John’s Wort that have been the subject of clinical studies. Our vegetarian-encapsulated formula is a unique and balanced blend of standardized and concentrated herbal extracts which represent our mind-body harmonized approach to natural health. Take two vegetable capsules with water once or twice daily. 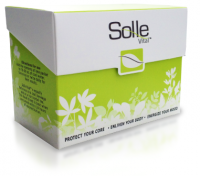 Take capsules with Solle Vital® during times of increased stress.